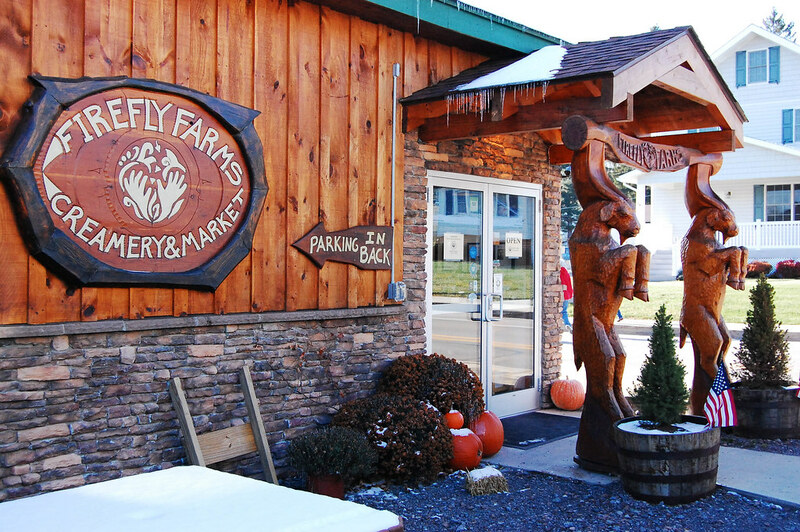 Firefly Farms is a goat cheese producer located in Accident, Maryland, but I discovered them right here in Morgantown. 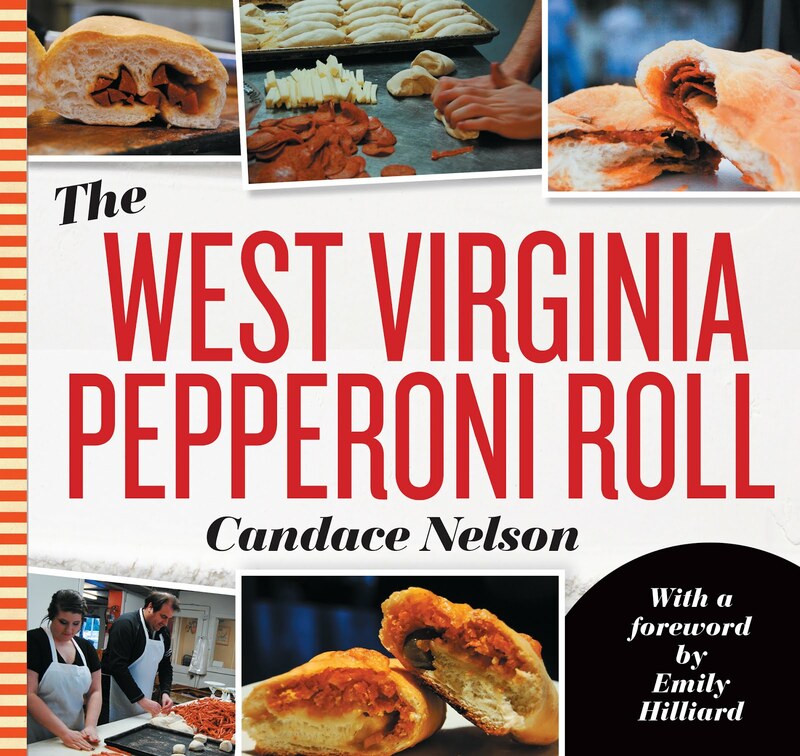 They've been a mainstay at the Morgantown Farmers Market for some time, and I've had just about every cheese they consistently sell at this point. 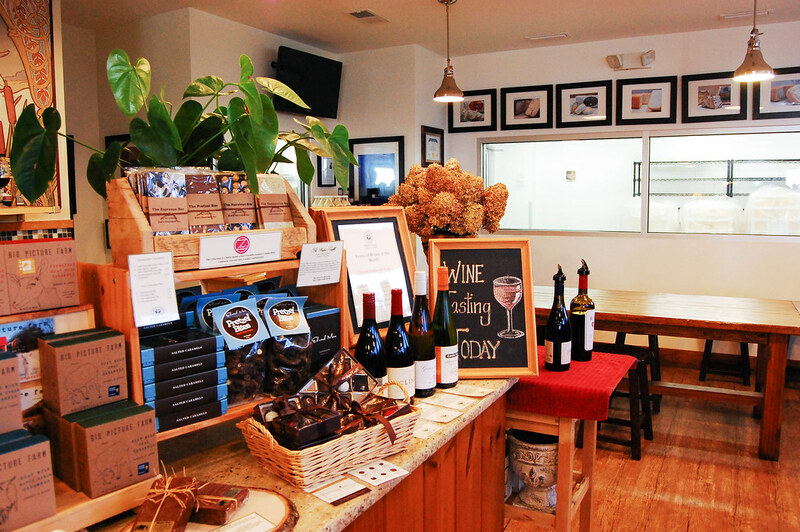 In fact, I visited their main location last winter, and I've been waiting to try that last cheese (Bella Vita) to post this blog. But, I found out they won't be producing it for some time, and I just didn't want to wait any longer! 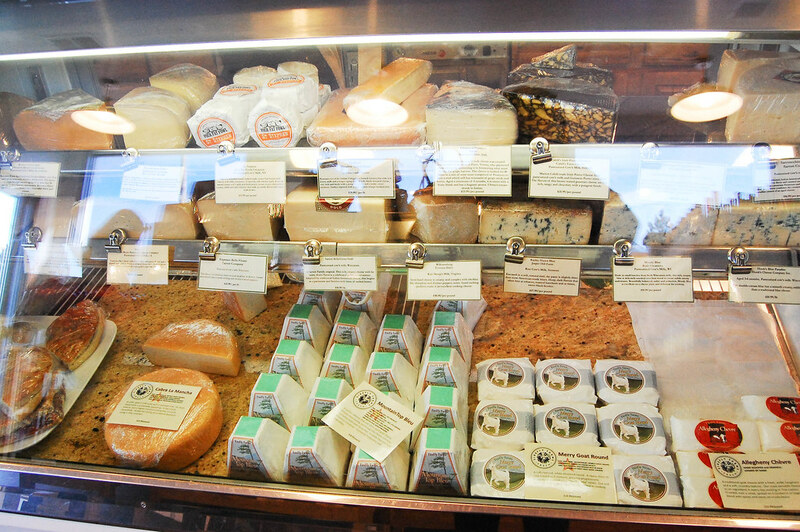 Their location in Maryland is great - you can get all their cheeses, plus a variety of other kinds of cheese and accompaniments. 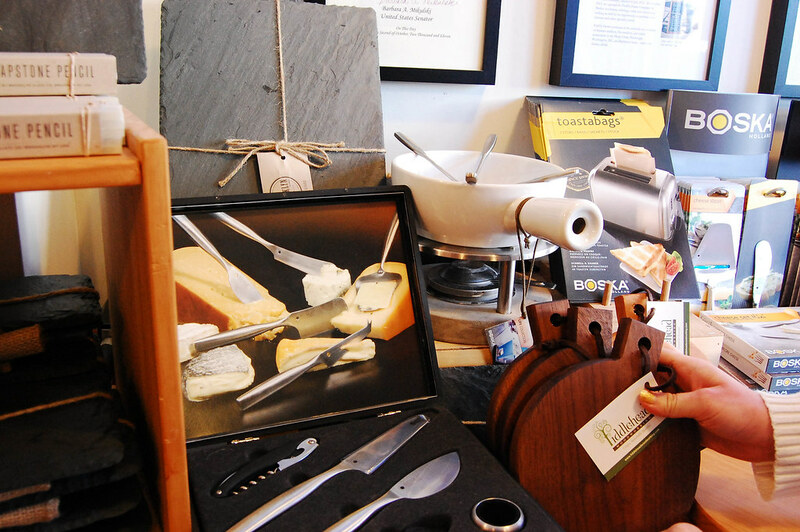 There are cheese slates and other hors d'oeuvres. While there, I actually got a hunk of the Cabra LaMancha (my favorite), some caviar (because fancy) and had a wine tasting. So, let's talk cheese! 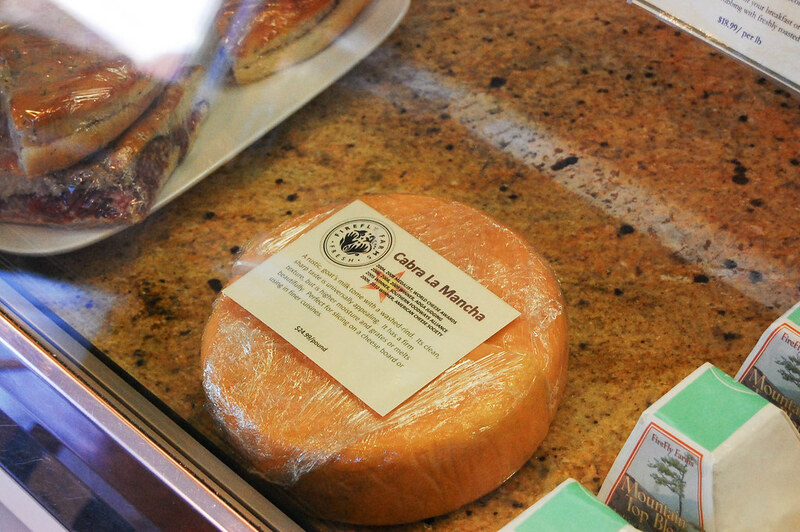 I mentioned the Cabra LaMancha is my favorite. 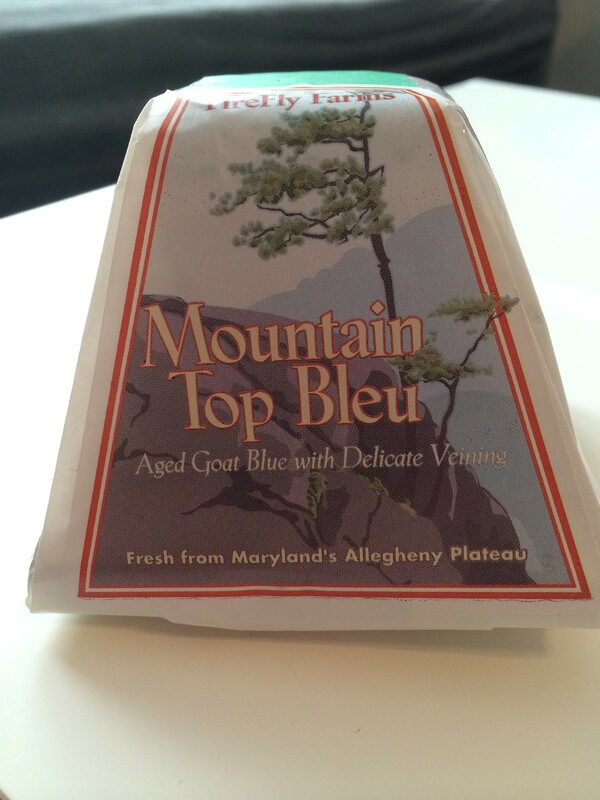 It's this semi-soft cheese that has a lighter aged flavor. Then the Black & Blue is for you. 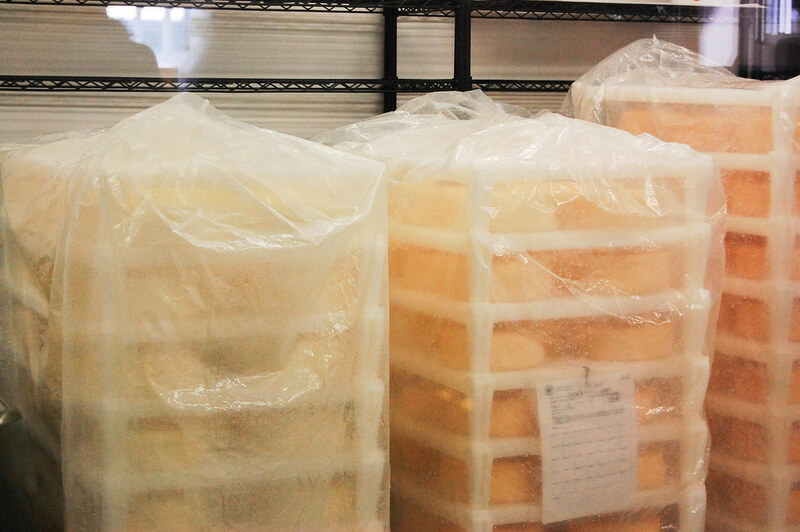 It's a harder, more aged cheese (on the right). 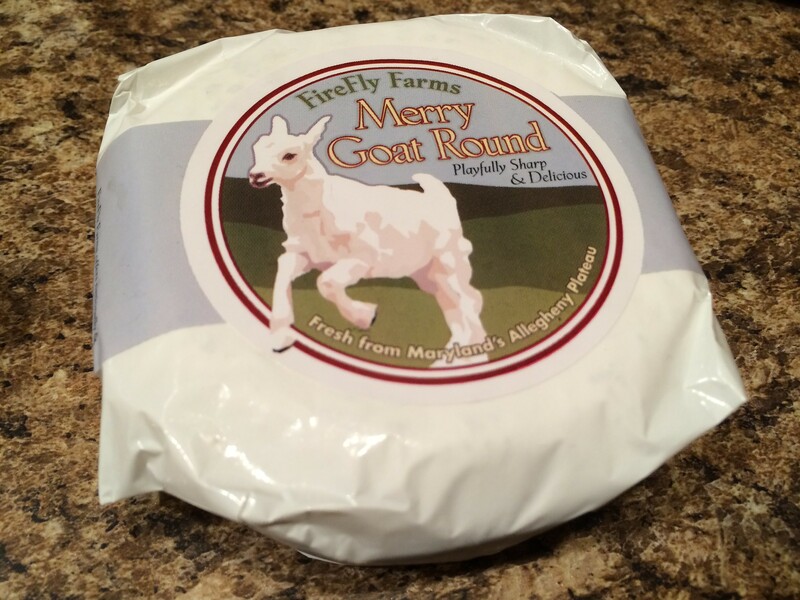 The Merry Goat Round is a bit firmer and is similar to a brie cheese, but with that stronger goat cheese flavor. 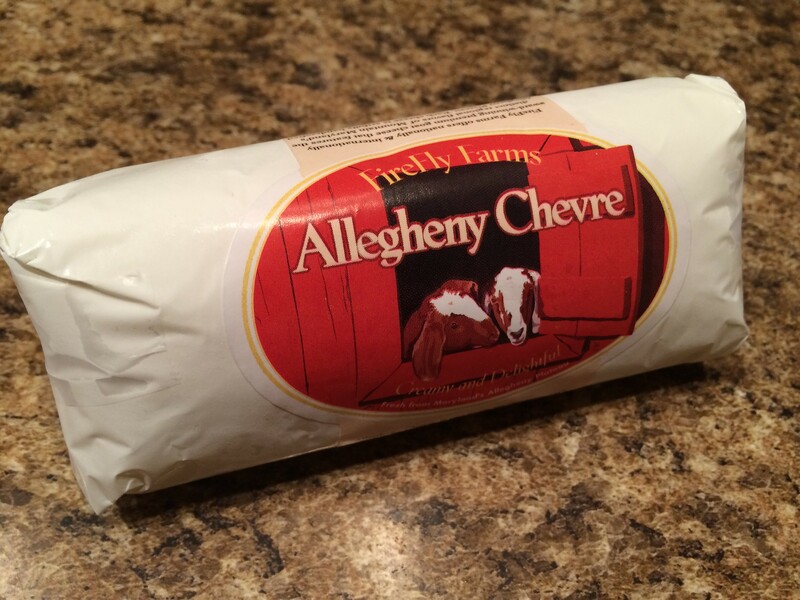 Then there's the Allegheny Chevre, which is good for cooking, as it's very soft. 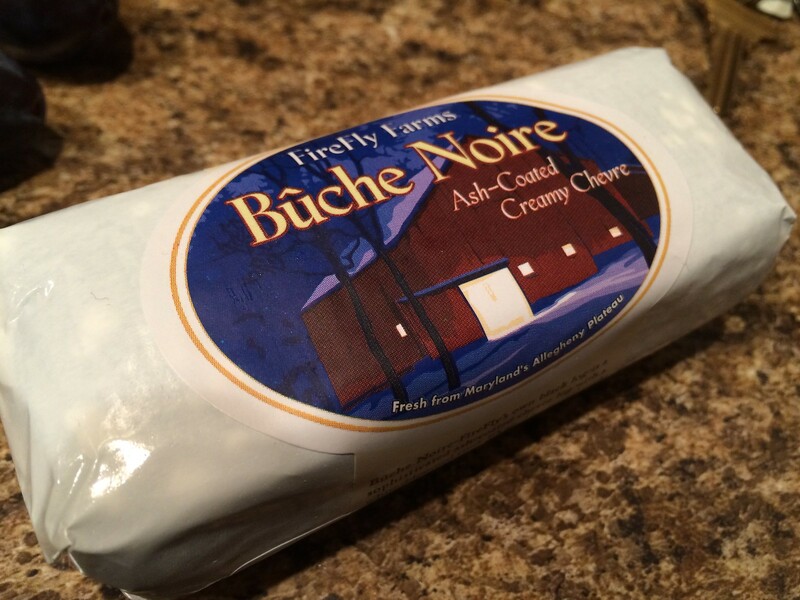 Buche Noire is similar, and is good for crackers or other snacks. It has an ash rind from being coated in vegetable ash. 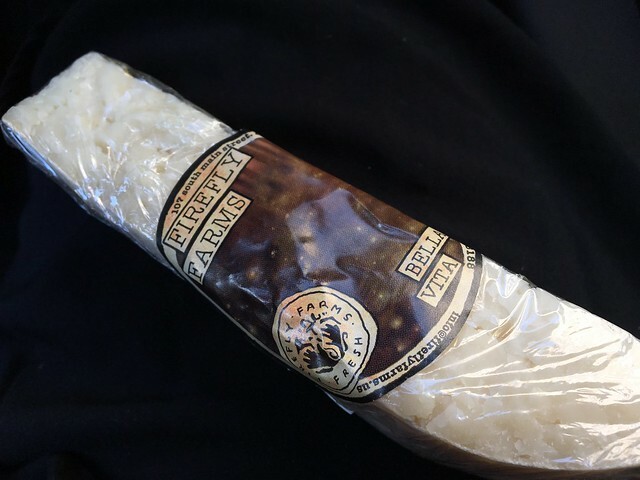 I've also tried their Cabrita, which is a French-inspired crottin. This one was a bit too much for me, but I'm sure others like it. AND the newest addition, and the reason I decided to post this now, is they are now producing TWO COW CHEESES. COW CHEESES. I bought both. 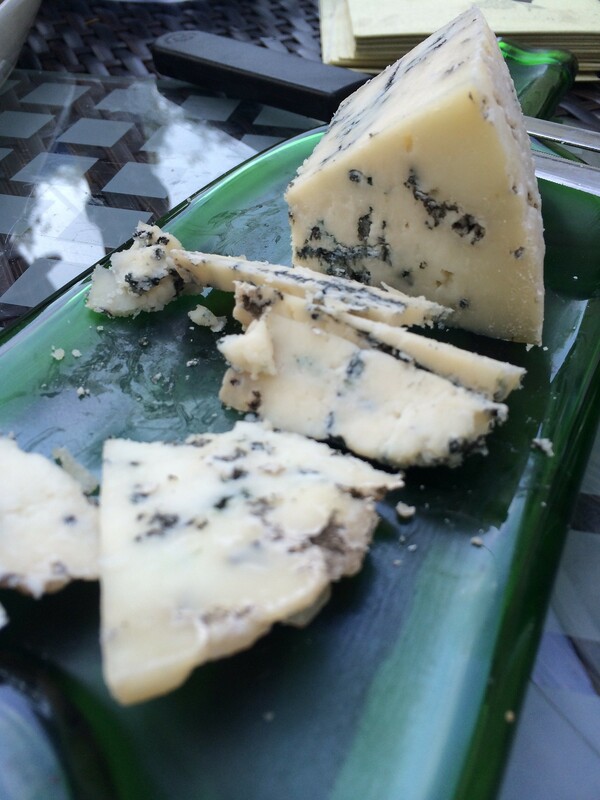 The Moo & Blue is a bleu cow cheese, which is a perfect combination between soft and hard. I have eaten about the entire thing just from snacking. It's so hard not to! It's the delicious flavor Firefly Farms is known for but in the cow cheese form - which I honestly love more. It's just a little smoother, a little cleaner. 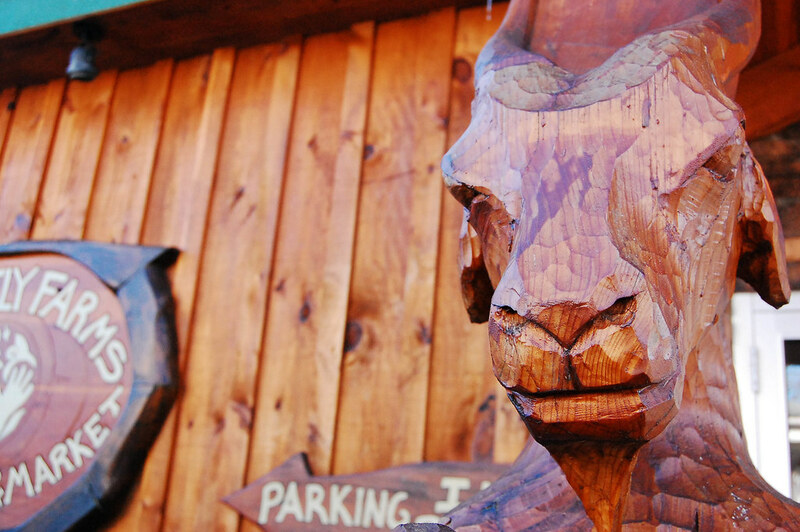 Goat cheese definitely has it's place, but cow cheese is more palatable. 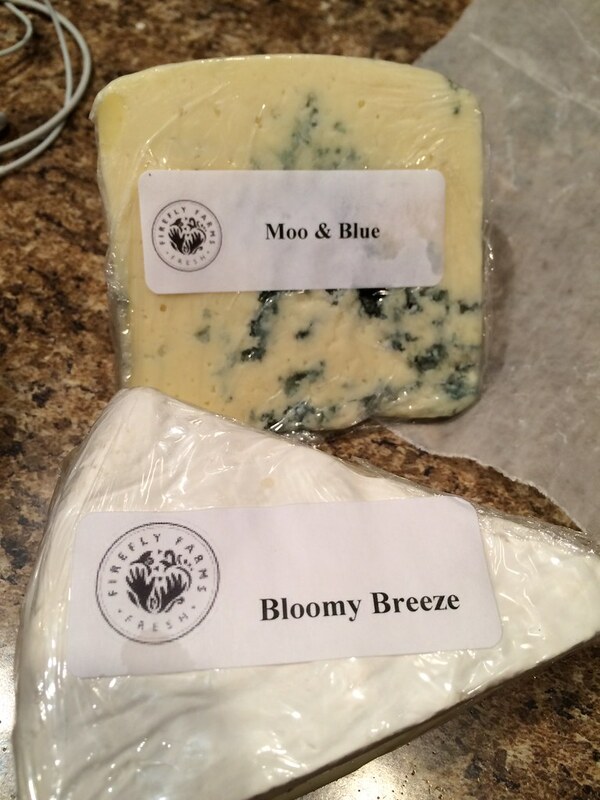 The Bloomy Breeze is a brie, and it's so delicious. 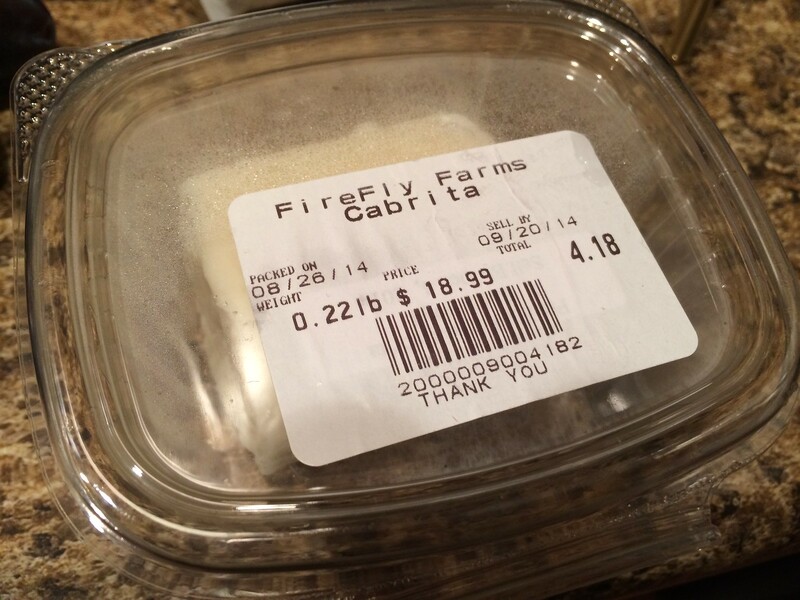 I am so happy Firefly has ventured into the cow cheese territory. I hope they keep it up and do even more!